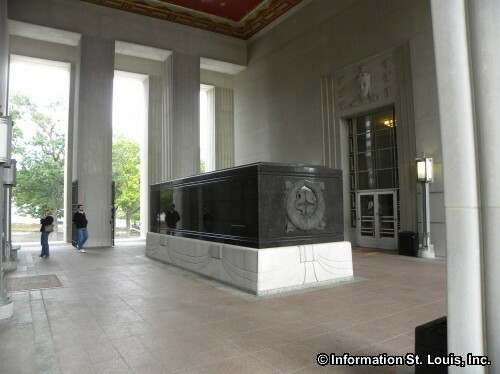 Memorial Day weekend would be an excellent time to visit the Soldiers Memorial Military Museum located in Downtown St. Louis. 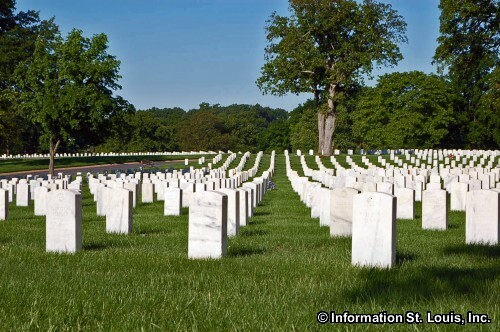 This museum is a memorial to all the St. Louisans who served in the military and lost their lives in any of the conflicts the USA has been involved in. It was built in the late 1930s originally to honor those who served in World War I but has expanded its scope as each US war has occurred. St. Louis Symphony "Gypsy Caravan"
On Memorial Day the St. Louis Symphony volunteers hold what is called the Gypsy Caravan on the grounds of the University of Missouri-St. Louis. 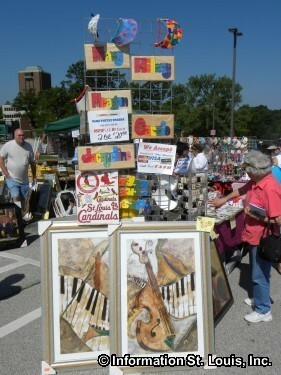 Hundreds of vendors and others bring their various goods and wares to this event. It's like a giant garage sale or Flea Market! You never know what you might find, so you just have to come and see for yourself. If you have a taste for baklava or a Gyro then the Greek Festival at Assumption Greek Orthodox Church in West St. Louis County is the place that you need to be. You will be treated to all kinds of Greek food and Greek culture. This festival runs over the three-day weekend. Swim season starts officially in St. Louis on Memorial Day weekend. 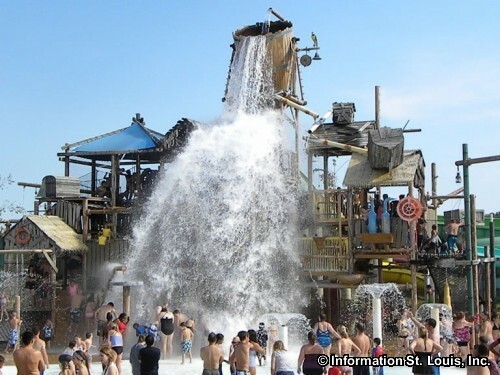 There are many water parks that feature lazy rivers and large water slides as well as swimming pools that open over Memorial Day weekend and provide St. Louisans a way to beat the heat. See our Waterparks and Aquatic Centers page for list of many of the "swimmin' holes" located in St. Louis! Other events that take place over the three day weekend include the Alton Illinois Memorial Day Parade which has occurred since 1868 making it the oldest Memorial Day parade in the nation; the St. Louis Bluesweek Festival held at Soldiers Memorial and is a three day festival of Blues music, food and beer; the Shakespeare in the Park Festival which begins Memorial Day Weekend and is held in Forest Park with free admission to performances of one of Shakespeare's plays; the St. Louis Renaissance Faire held in Rotary Park in Wentzville Missouri; the Fair U City held over the three day weekend with carnival rides, entertainment and kids activities; and the Missouri River Irish Fest held in Frontier Park in St. Charles Missouri.